I had to be patient this week, I wanted to join Annie and her Friday Smiles with this offering - and it happened on Tuesday! Would you look at that perfect footprint! It was only about 2 - 3cm (1")ish, so I'm amazed that I spotted it, amazed that I didn't drop the towel over it in surprise and thrilled that It photographed so clearly. And it still makes me smile, I mean what are the chances! So if you witness a woman rushing downstairs, grabbing her camera and muttering some nonsense about taking photos in the bathroom....don't worry. It may well be about washing! There's news of Shoshi for those of you following her story: the surgery has been cancelled because it involves her being looked after in the High Dependency Unit for a while and the Unit is unexpectedly full. I guess you'll join me in wishing her patience and distracting thoughts - having once gathered her nerve and made herself ready, this delay would be messing with my head if it was me! We're all rooting for you Shoshi. Unusually, I'm trying to do more than one thing at a time which leads to clutter and probably not a lot of achievement. Still, at least there's something going on! I'm doing that thing where you steal five minutes here and there. 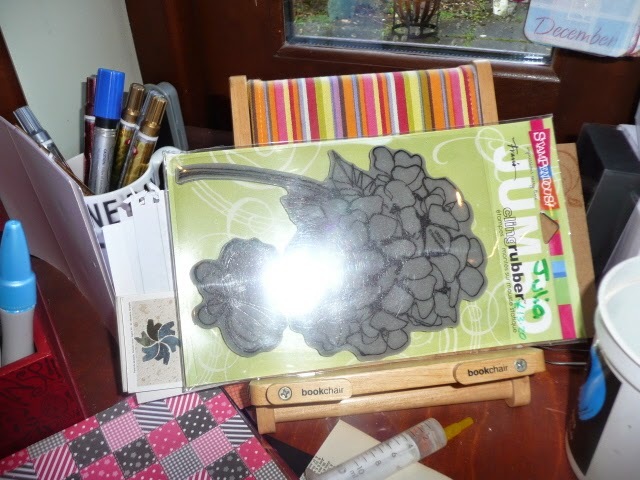 So you can see the heart tissue paper in the foreground - cute huh - it was wrapped around a pair of new shoes. I'm using some porcelain paints (at last) to decorate the contents of one of the boxes that have formed a tower on my desk for the last month. That reduced tower is now covered with pre-scored card blanks for no good reason at all. In front of that you can just make out the painted papier mache hearts that have also been awaiting attention. Do you sense a deadline?! The yellow and blag bag/basket thing contains my buttons, I crocheted it from a jelly roll. This probably makes it the most expensive storage in the world. 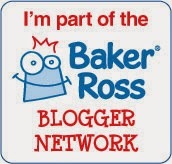 So show and tell will ya - we'd like to see what you're doing too..pop a photo on your blog and link here. That would be grand. Thank you. The WOYWW Crop takes place this year on Saturday May 16th, same times and location as before, here in sunny Wiltshire. If you'd like to come, you'll be very welcome. Details and a sign up list will soon be available, but at least your diary is reminded! When you buy something new to fulfill your crafting needs, what do you do with it when you get home? So what do you do with new stuff that you don't consider to be 'utility'? *Ahem* I leave them on my desk. Sometimes because I need a chance to gloat over them a little. Often because I intend to use them straight away.Most often because I'm scared that if I put them away, I'll forget about them and think I haven't got any new toys. Less often because it's something I've got to learn to use and I think if it's staring at me, I'll get on and do the learning part more quickly. Need to learn how to deftly use the Layer tool behind the ATG tape.. If you order something specific and wait patiently for it, how do you treat that? My Big Shot was a replacement for a broken die cutter and so was unpacked and assembled and in the proper place within half an hour of it being delivered. I can't remember using it immediately, but it was a replacement for something I knew and couldnt live without didn't want to be without, so I'd say that was quite exceptional. This stamp though,was on my desk for a couple of weeks after the order arrived.Then it was Christmas so I put it away. After Christmas I pulled it out to remind me to play with it. And so far....nothing; but my 'system' means that it has to stay out! What are you like about lending your stuff? I think I'm OK. If its practical to do so, I'm happy to lend anything I think. Of course, it is often easier not to lend your stuff out, but on the whole there's no case for not being a lender. 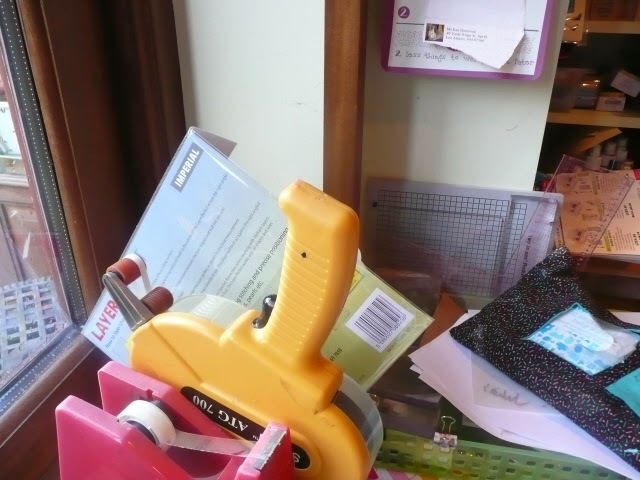 Having said that...I'm a bit childish about lending stuff that I haven't yet used....especially stamps. My dear friend the Lady Nurse will lend you something straight out of her shopping bag; before she's had a chance to get it home and gloat over it. That's not beyond me, but it's slightly more difficult! Do you ever buy something that you have to use straight away? Frequently. Mostly stamps. When my last delivery came from Quietfire, I contrived a day off to play. Mr Dunnit's not a fool, he knows. All my reasoning about not being able to colour or colour match in the dark after work...he accepts them with good grace. I think because he doesn't want to hear any other, new excuses! Do you consider this a bit of a confession? 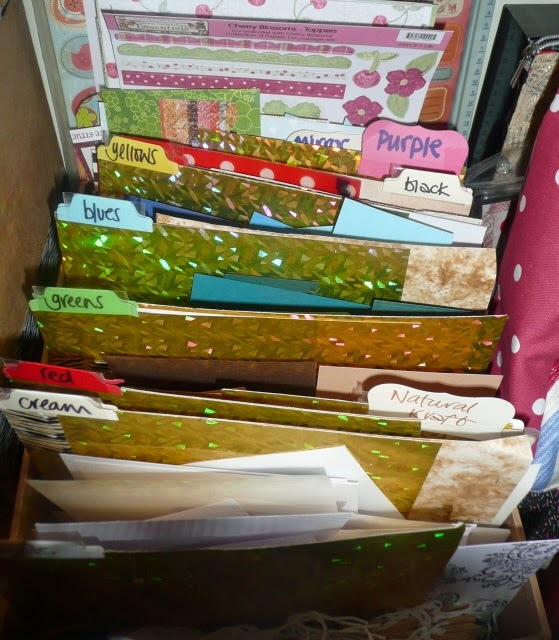 I know, it's a much used sort of title, but really, you have no idea how long it's taken to sort, corral and control my scrap card and paper. It deserves a post of it's own, and a cheesy post title! Wegular weaders will wemember that I spent some time last month complaining and then bragging about a bit of a sort out. 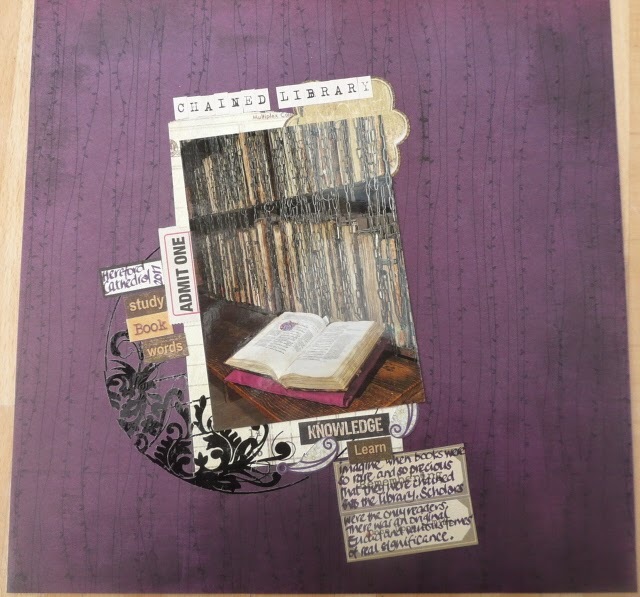 I put all my old, very old and nearly disintegrating scrapbook papers on the top of the piles and in the boxes that would be first to be pulled out when the photos-to-paper selection process begins. The patterned papers are in boxes..once, they were in manufacturer order, but not now. This means that I have to go through all of them to find something that works instead of just selecting from the one box of favourites. Plain 12 x 12 and below that are my stick on alphabets. I may have a problem with them. As if I don't have enough alphabet stamp sets. 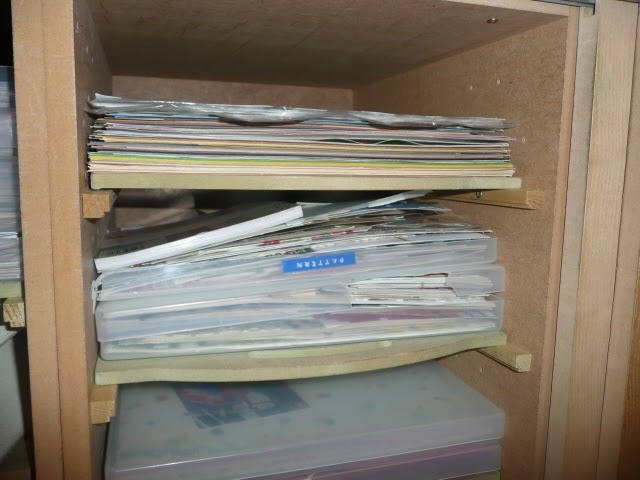 The box on the third shelf is the selection of photos that I've already matched to pages. You will know by now that this is both a great idea and a terrible idea for me. I can't always remember why I thought a particular paper would work so well....but I'm sticking to it as far as I can! 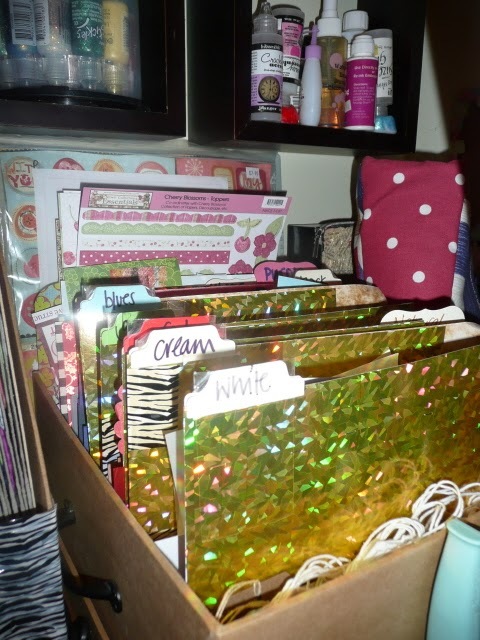 Then I chopped tidied and re-sorted my plain card scraps. These live at the left hand of my desk so that I can access them while I'm 'working'. The whites are at the front...the most visited section and the most used 'colour' to become 'scrap' size. Which for me is A5 or smaller. But not teeny. Because I don't want to go through this again, so far, I'm keeping this as it should be and benefitting by using some. I can't tell if I use as much as I create or not. That's a scientific question that I probably need to dwell upon. Its a small bit of discipline in my quite undisciplined craft life. 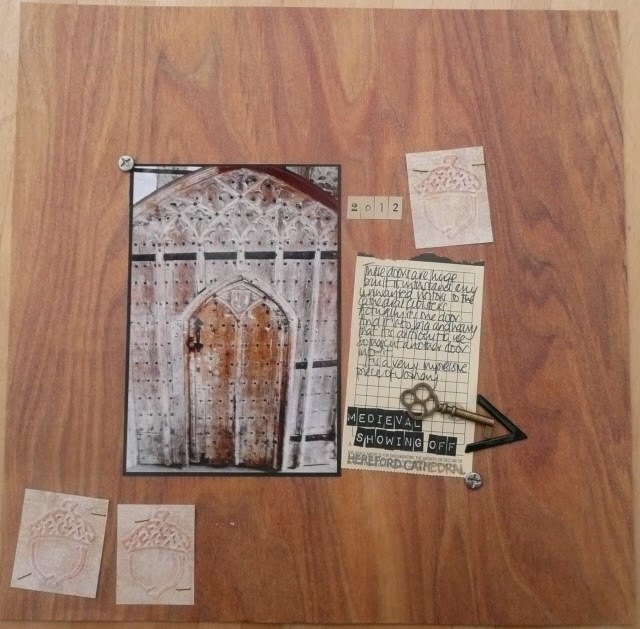 And it is paying off in parts - recent scrapbook pages have been made on papers that are at least five years old. I am actually using stuff that would otherwise be neglected for even longer. And that does add to the satisfaction of anything completed, I can tell you. If you want to know anything about WOYWW, please click on the two pages shown at the top of this page..one explains it a bit, the other explains how to do it. 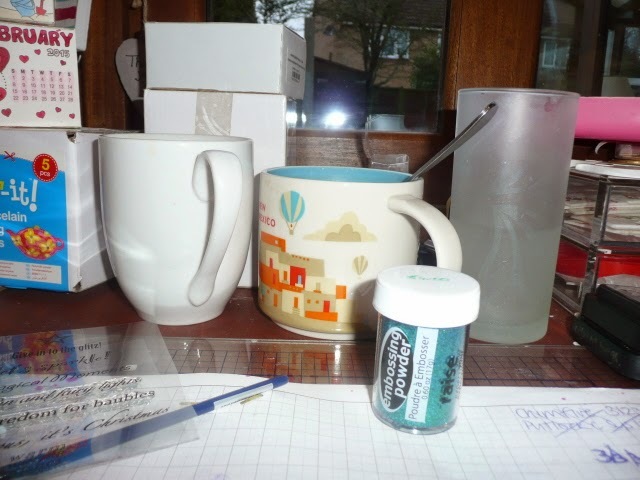 If you want to know about my desk...here y'are. I took this at lunchtime on Tuesday because I was in that panic mode where you have to rush around and do everything in case you don't have time to do anything. It's rubbish light, but its the best I've got; this morning is still dark and the flash photo is even worse. 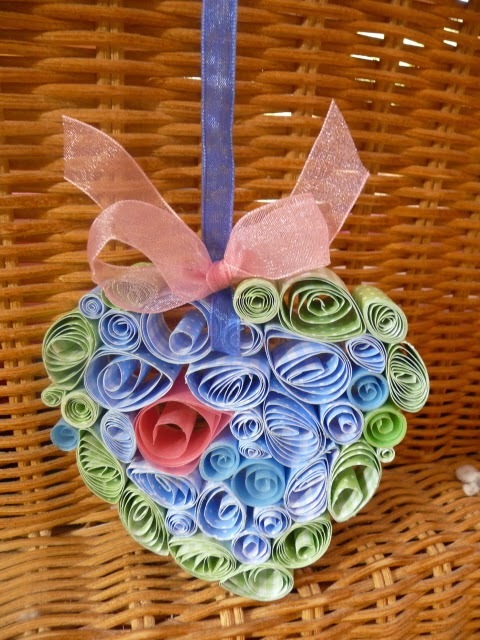 You can see, I've cut into a very nice sheet of scrapbook paper to make a flower. And I don't like it. It needs more than a tweak so am thinking the paper may well need to be put away before I waste any more. Lovely teeny flower print and totally not showing either the stamped image or itself off enough. Back to rummaging in the paper stack then. I've also been toying with some Pearl Ex as you can see at right..was playing with it on Kraft card - I quite like it. That's me this week..playing with florals. A flower was my first stamp purchase and will probably be my last, I never met one I didn't really like! What are you up then? 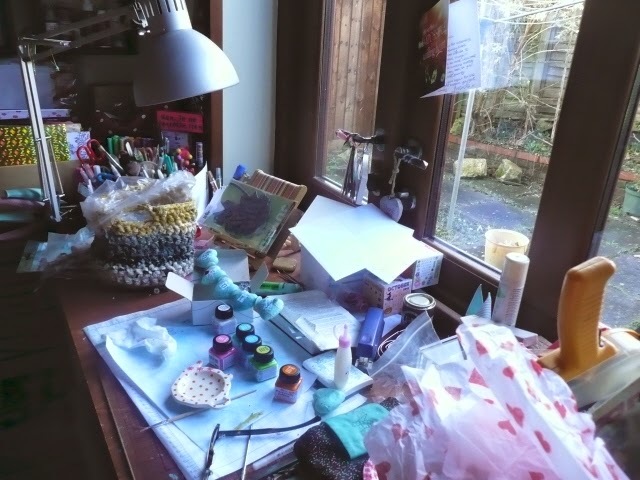 Upload a pic of your crafty work space for us all to see, it will be Ok...no rules about tidy and no judging! T for Tuesday. Morning Mr Magpie! Had to share this! Our workshop is in an old farm building. it is not a romantic old barn, no sir. It actually was brought off the Ministry of Defence at the end of the second war, dismantled and reassembled in its present situation once a concrete base had been laid. There are three. 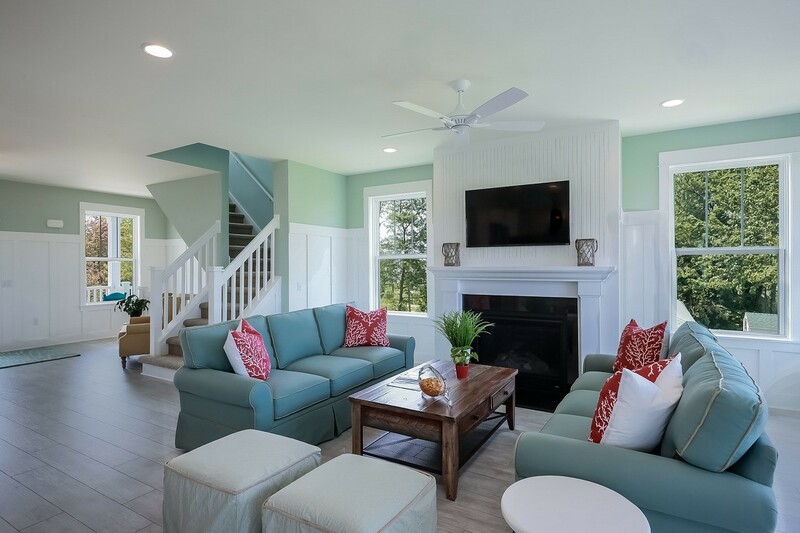 They are cosmetically very shabby by now, and we, well - he, has done quite a lot of renovating. We use one as a store and one as a workshop. The third still houses farm machinery and the 'don't throw that away, it might come in handy' stuff of at least two generations. Filthy, yes. Fascinating...hmm. Imagine then our mixed emotions after fitting a new roof and all that goes with it, to discover that birds still treat the place as trainee flying space. Oh so dangerous..we use an extractor to cut down on dust, we have countless 'killer' machines and tools and have to wear ear defenders all the time. And yet the birds must be used to it. We manage to open the large end doors and shoo most of them out. Occasionally though, they'll surprise us. Mr Dunnit was eating a honey sandwich at break time when this Magpie decided to intervene. He got so close that Mr D decided it was worth the risk of getting his phone out to try to snap a pic...and the bird didn't flinch. 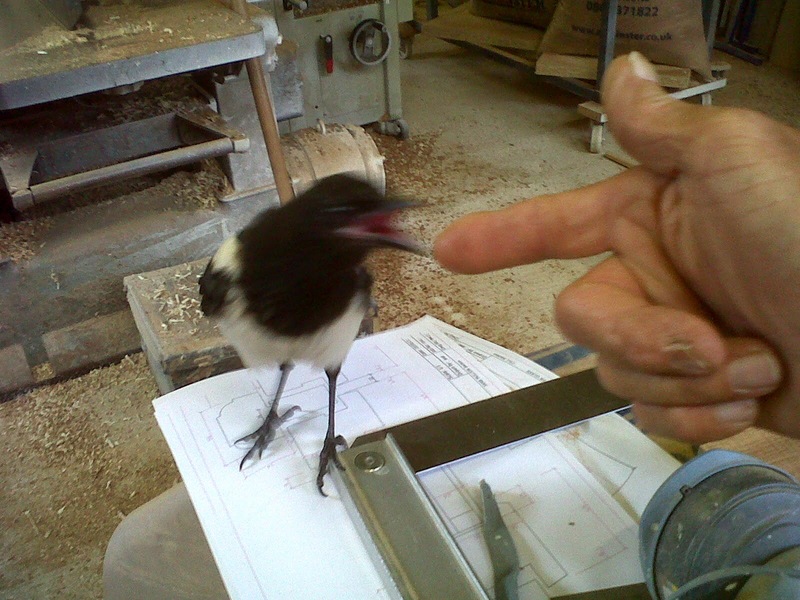 So..here you have a Magpie eating honey off the photographer's finger. I'm still amazed! Joining Elizabeth this morning..although technically, honey isn't a drink...but it was break time! I went to another Crop yesterday. It was very different to the monthly Ludgershall Crop. It had more to offer in terms of resources, for sure. There was a box full of layout sketches and ideas. There was a tool table, including a dictionary. There were useful bits for sale - including plain 12x12 card stock. There was a raffle. There was a proper bar and hot food service. It was good. 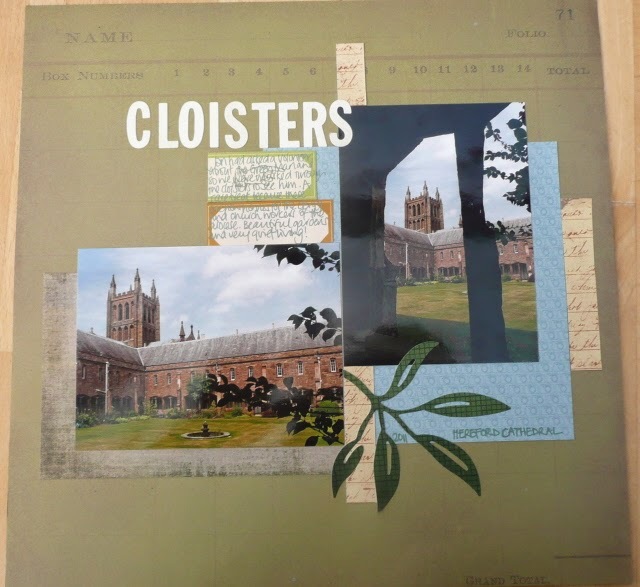 I did four layouts which included the conclusion of my Hereford Cathedral pics, so I am pleased. This is only one more than I did last week at my 'own' crop. So it's not the Crop atmosphere. It's the the time it takes me to do them, and that's all there is to it! I don't scrapbook at home. Well, not strictly true; but I can't remember the last time I did. But with photos and papers supposedly pre-matched in a attempt to be ready, it really wouldn't be so difficult to do some at home. But I think actually, I go to Crop for so much more than the scrapping experience. The Ludgershall Crop is small in number. But those numbers are some of the best friends I've ever made. If I didn't Crop with them once a month, we'd carve out other time to get together. And so sitting in a hall being relatively craft productive is a bonus to the conversation. And there's a lot of that! My visit yesterday to a 'foreign' crop was totally different, but no less enjoyable - having this craft in common, let alone all the other things we women share is an instant ice breaker. I didn't force myself on anyone, (I don't think!) but I had some fascinating conversations whilst cutting and sticking. And that's it for me. I'm reconciled to the fact that Miss Dunnit might well have to bin the load of albums I'll have filled by the time I tragically shuffle off this mortal coil. 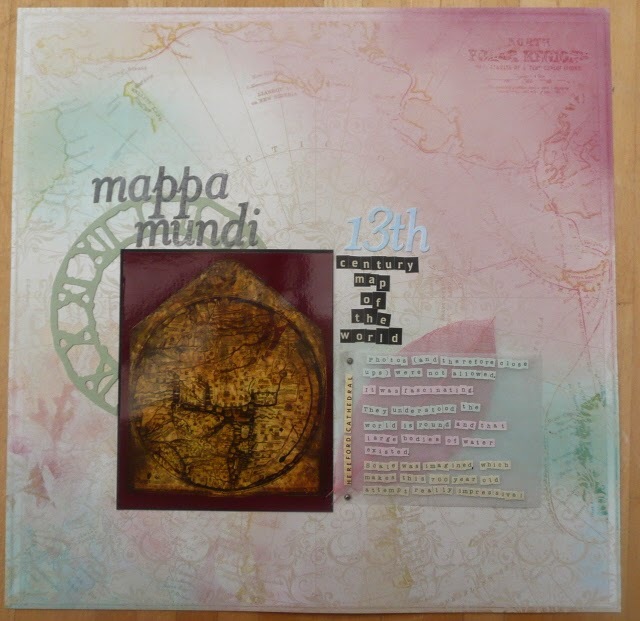 I've stopped doing scrapbooking for worthy reasons like the benefit for future generations. I do it for me. Because I like to do it, it saves the photos we take from sitting unloved in a drawer or on the computer, and I like the sociability of a crop. Which is fascinating isn't it. Because I prefer to make cards at home, surrounded by my stamps and stuff and company isn't necessary at all. Odd. Yeah. Odd. 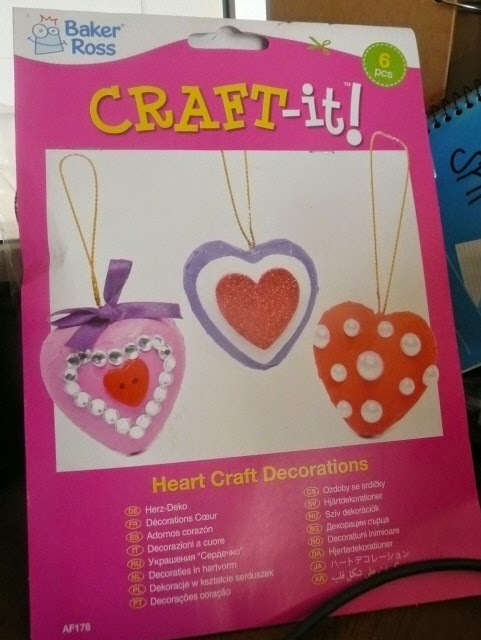 But there's not a lot about this whole crafting obsession I'm embroiled in that doesn't seem odd when you step back and look in from the out. Luckily, I don't have to explain it. You get it. Mr Dunnit can live with it (he doesn't get it), and that's all the encouragement I need! Last weekend was Crop for me. It's always the first weekend of the month, but rushes around so fast that it feels like the last weekend of the previous month. It makes sense to me. So I managed three fairly simple layouts last weekend. From my pile of already matched photos and papers. Which I've learned to keep so that I don't have to wake up at AhMyGard o,clock to make selections on the day. 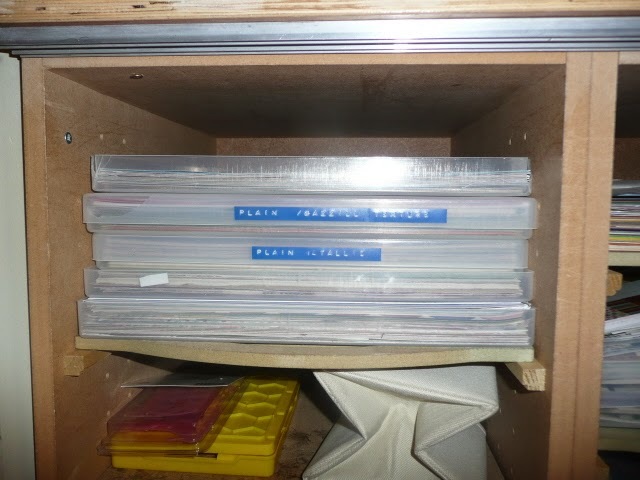 See, I grab that box, then all the other boxes - the one containing sticky alphas, the one containing metal embellishments, the one containing journaling pieces and tags etc, the one containing gems and distracting lovelies, the one containing chipboard. Add in the essential tool bag and a box of patterned scraps that deserve to be used and I'm ready. They turned out to be pretty straight forward layouts for a whole day, huh. And therein lies the problem, I think. I made the paper/photo selections ages ago. I did not team them with other embellishments or a sketch (I may as well have scrapped at home if I went that far). When I finally stopped talking, browsing catalogues and other people's magazines, I went through the box of 'Layouts To Do' and found myself pretty uninspired by my choices. Ack. There were a couple that I obviously had a plan for that I've forgotten. And I do like to reference a sketch for single photo layouts because I'm very very prone to doing the same thing again and again. No sketches. So the results are a little underwhelming. This last one of my Sweet Baby Girl is as yet unfinished. I'm walking around it for now. It'll come to me. And then I'll file it away where not many people will see it anyway! How odd. So this weekend, I'm going to another Crop. One I haven't been to before. I'm definitely taking some sketches with me, but do not have time to sort out more papers and photos, so will be repeating the packing process detailed above. It will be a good test. As I won't know more than 2 of the other Croppers, does that mean I'll get more done? We'll see. The thing is, given this particular packing method, I wonder - is it worth unpacking between crops? If you can think of any better reasons than me for not doing so, please let me know! Well, Deskers, here we are, hurtling towards the 300th edition! Several have asked if there are plans to mark it...not really. I have a thing for the anniversary which is only about three months away, and it causes enough mayhem...although I can't get enough of it! Instead of a huge 'thing' on the 300th, I'll make a little speech and then we'll all go about our Wednesday feeling cheery - how about that? Cool. Onwards then, theres loads to see. The very best thing about this photo for me is that I took it yesterday at about 4.30 in the afternoon. Still light outside! Man, that's such welcome progress. That turning world..it actually is starting to show that it's turning. 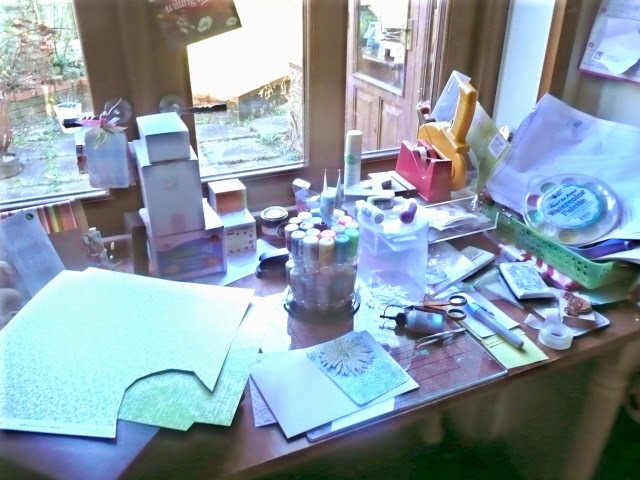 And in less profound news...the desk shows a card I 're-worked' for an upcoming workshop. Due to popular demand *snort*. Under that is the notebook listing ingredients and method. Of course there's the glitter glues again - never mind Christmas...isn't glitter or pearly the law when you're doing butterfly stuff? The pile of boxes are china and glass bottles awaiting some paint and pattern. The box on top which makes the whole thing look precarious is actually filled with printer cartridges and will be put into a proper location when I have determined that the person who is using the printer is satisfied with the supply. It caused some bad words late yesterday, see. Amazing how someone so unendingly patient with his wife and her follies can be so impatient (and rude) over an inanimate object! I think that's it in terms of interest here. 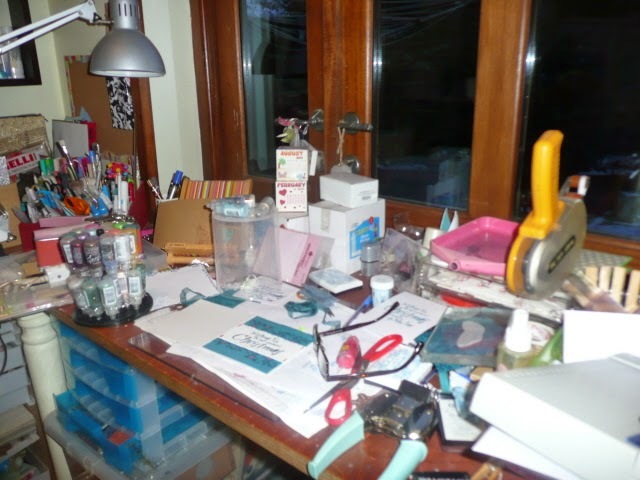 Look at your own desk..photograph it, upload it to your blog and link here so that I can be sure that mine is as interesting as yours. It's important to me. My imperfect heart! Oh my, am a bit pleased with myself over this...the papers and the glue pen came from Baker Ross. The instructions are in the packet...roll the papers and then if you want to, squish 'em a bit to make other shapes. Well, talk about a therapy! So I rolled half lengths of the printed paper types so they weren't too bulky and then set about squishing and gluing together. Easy. And then I decided on a heart shape and got a big cookie cutter for reference. Slightly fiddly. You can now see gaps (well I can). 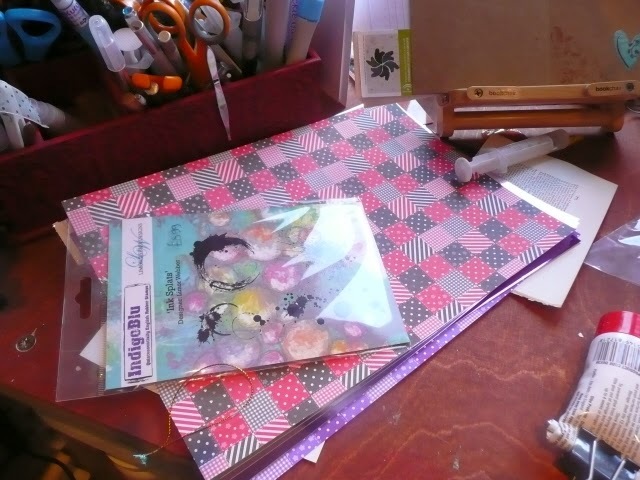 But hey, it's pretty and there are so many more paper strips left that there is more rolling to be done! I know it's called Quilling, but really, when you search for Quilling on the interweb thingy, the standards are amazing... I'm OK with this for now! And to satisfy curiosity after a strange angle on my workdesk last week, here are the mushrooms. 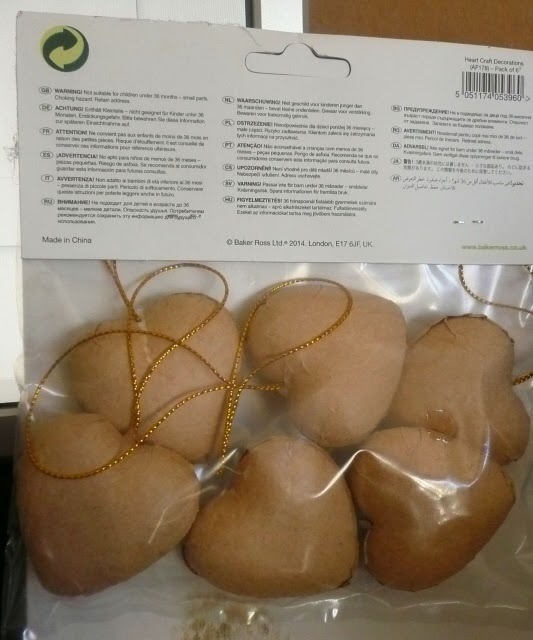 They are papier mache hearts and will be getting a treatment very soon. I am really quite enjoying the countdown to that St Valentine's day! 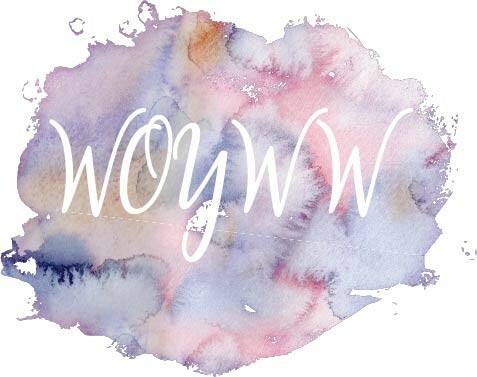 Read all about this WOYWW thing here, learn how to join in here. Easy. No commitment, no fees and no effort. If you show it like it is. 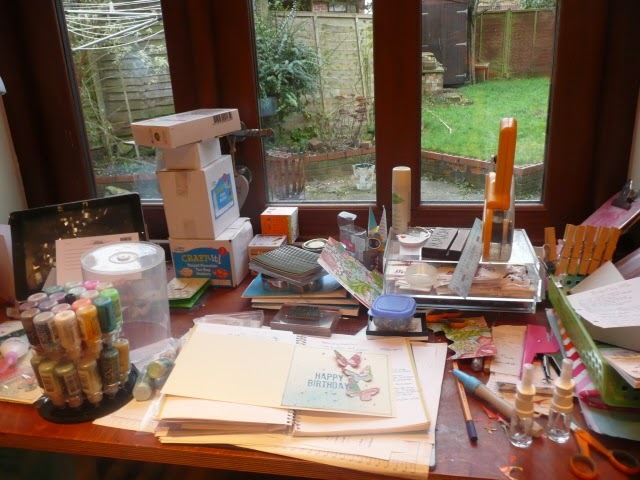 If you find yourself tidying up to take the desk photo - that's effort! Poor lighting, speed photography not helping my cause one bit! The glasses are readers and designated for this room. Although I notice now that they really aren't quite strong enough now...gawd. You can see the corner rounder at front right...driving me mad because the most used 1/4 size seems blunt and chewy. Left out to remind me to ask Mr Dunnit for some help. You can see the Stickles holder in all it's glory. I spent most of yesterday trying to get a Christmas card idea to work, hence the presence of glitter. Boy,what a waste of time. Everything else is just associated paraphernalia. Will tidy up as the day wears on and start something else if Mr Dunnit allows me home from work while it's daylight! Show and tell then will ya..maybe inspire to get something finished! 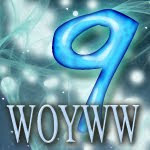 Please put WOYWW in your blog title and link here. When you visit others, leave your link list number; it makes it easier for reciprocal visits to be made! Have a lovely day y'all. I was tidying up prior to starting something else late yesterday and thought that you may like to see what is collected on my desk. Highly appropriate for T for Tuesday. See, I was engrossed at my desk for the afternoon. It meant I couldn't possibly clear up, apparently. Although clearly, I could wander to the kitchen and get another drink! The plain white mug is the cup of soup I had as a late lunch. The souvenir of New Mexico mug is the after lunch coffee. The spoon is in it because...I have no idea. And there's a glass of lemon squash. So be reassured gentle reader, I'm definitely staying hydrated! I've had a bit of a play with this lovely peacock blue sparkly embossing powder and decided to make a Christmas card. 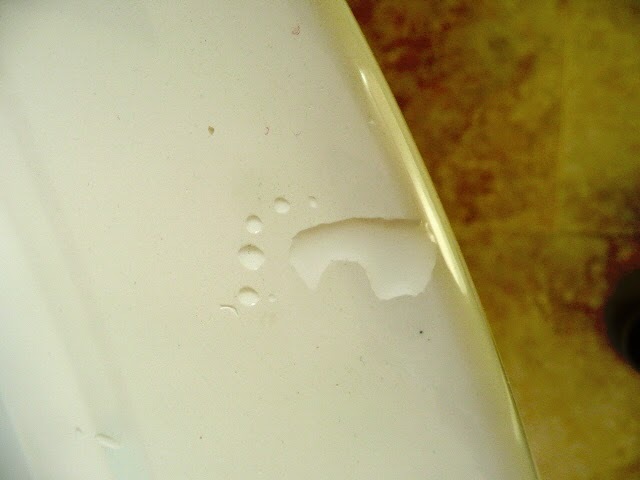 So you see, although I was too idle to clear up after myself, it was because I was busy. Joining Elizabeth and Bleubeard today.